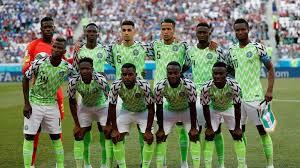 Super Eagles of Nigeria has dropped two places in the world according to latest rankings released by FIFA and retain her 4th position in Africa. Nigeria were in 44th position in FIFA Coca Cola World Rankings released i December. Also, retained her fourth position in Africa in FIFA Coca Cola World Rankings released on Thursday. Senegal retains her top spot among African teams with 1,505 points and 24th in the world with Tunisia following closely with 1,493 points on 28th place. Behind is Morrocco who garnered 1,440 points after descending three places, from 40th placed in the previous list to 43rd. The next rankings will be published on April 4. Another consequence of these changes is that Asia has boosted its numbers in the Ranking’s top 50. The Asian Football Confederation is now represented by four teams up, one on the last edition, and now stands level with Africa, whose numbers have been depleted by Congo DR (51st, down 2), dropping out.